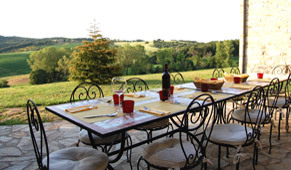 The entire property consists of 4 tuscan houses in a garden of 5000 square meters within a reserv on a hill where you can see many wild animals. 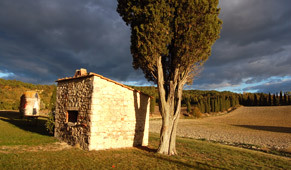 From the car park reserved for farmhouse guests who rent the entire property you will see a restaurant, a small house where you can taste typical Tuscan dishes prepared by Paola. On the right is a road that will take you to the villa where you will spend your holidays. To the right of the villa is a panoramic terrace with mosaic tables for 12 people where you can enjoy beautiful evening sunsets and the laundry with washing machine, iron and ironing board. 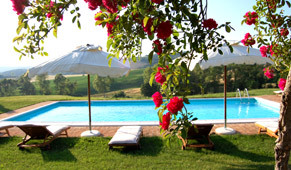 To embellish this charming country house villa is the swimming pool where you can enjoy the typical Tuscan landscape. 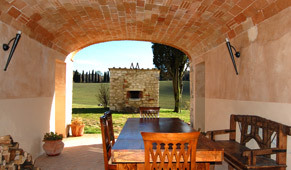 The villa also has a balcony with wooden table for 12 people and is located in front of an old oven, which we renovated to allow guests to make bread and pizzas. 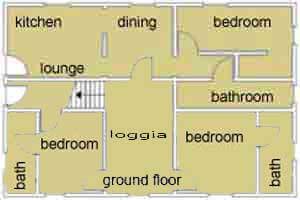 In the back of the property is the home of Paola and Valerio, always available for any need, however, ensuring maximum privacy. At 20 meters from the villa you will find the swimming pool 12 meters long, 6 wide and 2.20 deep. 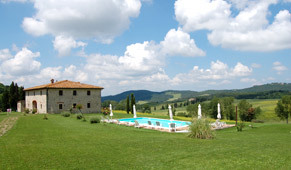 The view of 360 degrees can relax watching the wonderful Tuscan landscape. The pool is equipped with umbrellas, teak loungers with mattresses, chairs and a table. Every morning Valerio cleans the pool and check the chlorine levels and ph. The pool has night lighting to allow you to swim even at night. The rooftop terrace is located between the villa and the restaurant so that you can use both if you decide to cater for yourself whether you want to taste the dishes prepared by Paola. The terrace faces west so you can admire the sunset and the evening, dine by candlelight under the stars. The loggia is located on the ground floor of the villa, once used for the shelter of the wagon has now been restored and was placed a wooden table where 12 people can eat, being sheltered in the rain or wind. The veranda has also a pile of wood that you can use for the fireplace or the stone oven that is in front of the lodge. 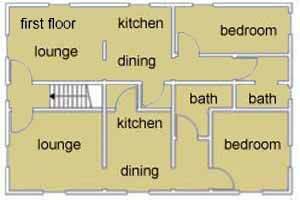 From the lodge you have access to all the rooms of the house.